The spectacular high foreleg action, which has become desirable in modern dressage, tricks the eye of the observer into thinking the horse is up off the forehand, carrying the rider strongly and proudly. Dispite the impressive appearance of the top image (taken from a photo of an Olympic medal winning rider), the horse's hindlegs are forced out behind by the blocking rein contact. 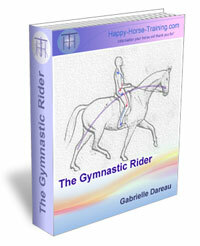 They are unable to reach forward and support the lifting of the thoracic spine, where the rider sits. The horse’s spine is hollow, dropping the rider’s weight onto the horse’s already burdened forehand. The spectacle is nothing more than a surface appearance, which serves neither horse nor rider towards the goal of gymnastic purity in dressage training. 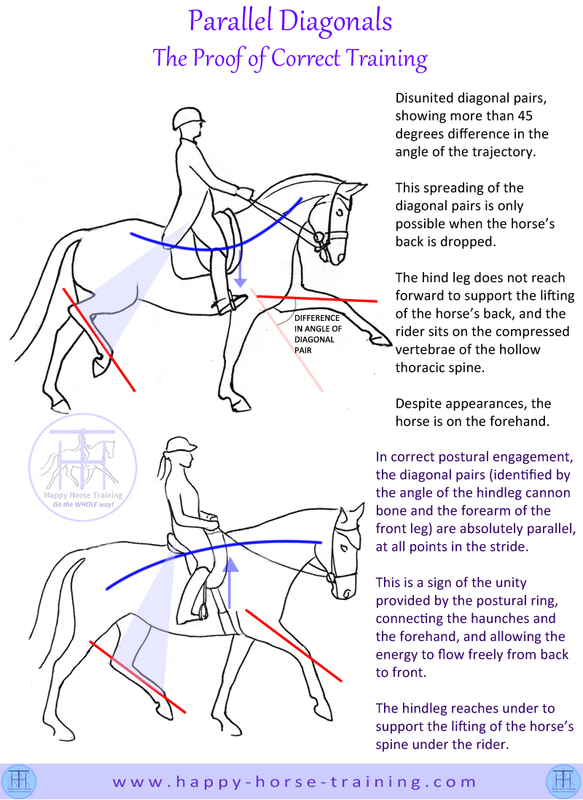 The bottom diagram is taken from a photo of one of our horses, working in postural engagement. This horse's natural conformation and athleticism cannot be compared to the first horse, however the work is of real gymnastic value because it is balanced posturally, not with the reins. The parallel diagonals prove this. 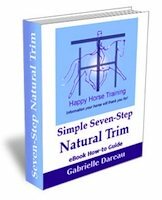 The unity of the diagonal pairs in trot is a fundamental characteristic of the horse's natural movement, and is therefore a key marker of the purity of the gaits, which correct dressage sets out to preserve above all. When the horse is balancing by means of the engagement of the postural ring, the diagonal pairs swing together in unison, right through the carrying phase of each pair every stride. In a reciprocal relationship, the stability of the postural ring supports the hindleg reaching forward under the body of the horse, and, in turn, the hindleg stepping under in this way supports the postural ring, feeding the whole biomechanical dynamic with channelled energy. 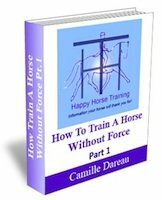 The rider feels this energy lifting the horse's back under the seat, and this also supports the rider's postural engagement and balance. Only when the rider blocks the flow of energy through the horse's spine with holding hands, and artificially raises the head-carriage, can the unity of the diagonals be corrupted to a significant degree, because the hindleg is blocked from stepping through, and the forelegs are unnaturally levered upwards. If we want a truly infallible sign of correct dressage, we should look first to the diagonals, instead of obsessing over the head-carriage, which is a totally unreliable sign of good work as it can be affected by many factors including individual horse conformation. The endemic nature of incorrect diagonals in competitive dressage, in all trot-based movements, is a telling sign of the degree to which correct riding and training has been abandoned. To see this for yourself, you only have to pause a video (taken from the side) of a horse being ridden in trot or trot-based movements (including piaffe and passage) when the foreleg is at the highest point of the carrying phase of the stride. It is extremely rare to find the hindleg canon bone at the same angle as the forearm of the foreleg. For further explanation of postural engagement - the true foundation of correct dressage - see this article: What does 'on the bit' really mean?